Mass Games 2018 "Glorious Country" were held from September 9 to November 4. 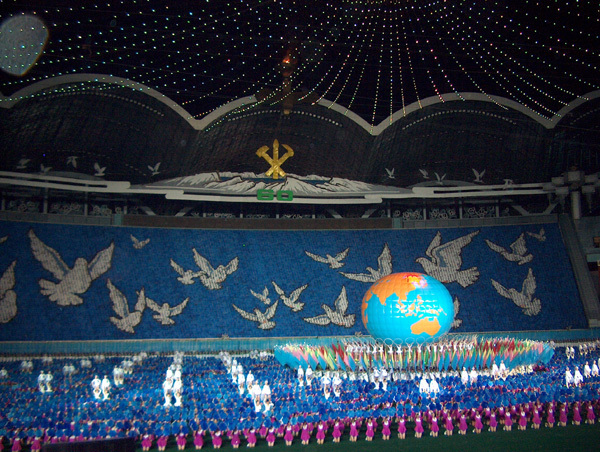 The show was dedicated to the DPRK's 70th Anniversary which was be celebrated on September 9. 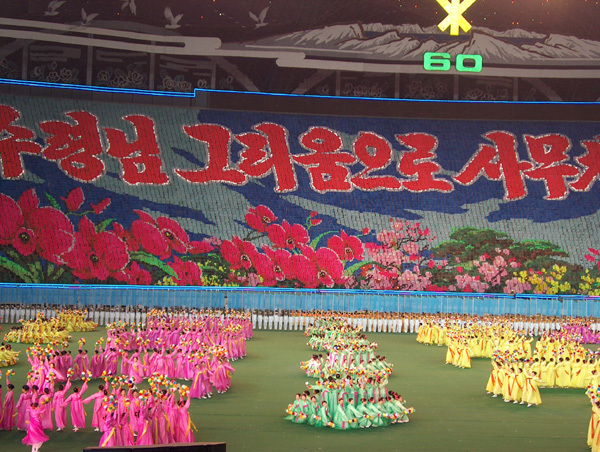 Mass Games were held in Pyongyang between 22 July and 30 September 2013. The show were run 4 times a week. 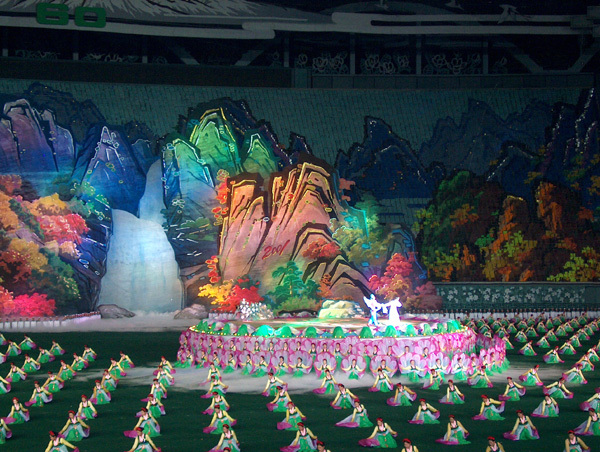 Tourists from all over the World were welcomed to the DPRK during Mass Games and everybody enjoyed this fantastic show. Please refer to the photo digest of the event below. Click on each picture to open it in full size. 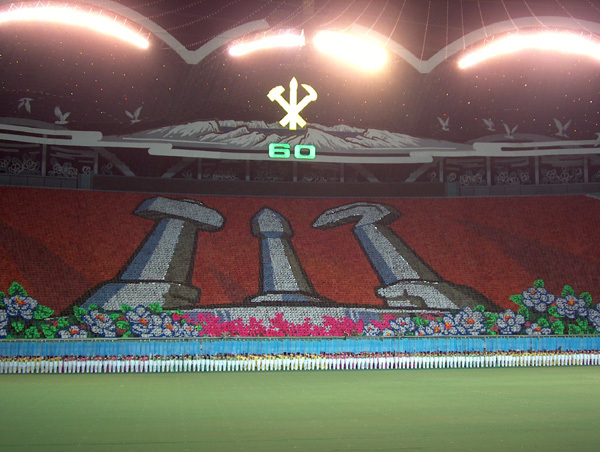 Venue: Pyongyang May Day Stadium, one of the biggest sport arenas in the world. Tickets: different types of tickets are available: from 80 Euro per ticket for economy seats up to 300 Euro for VIP seats. 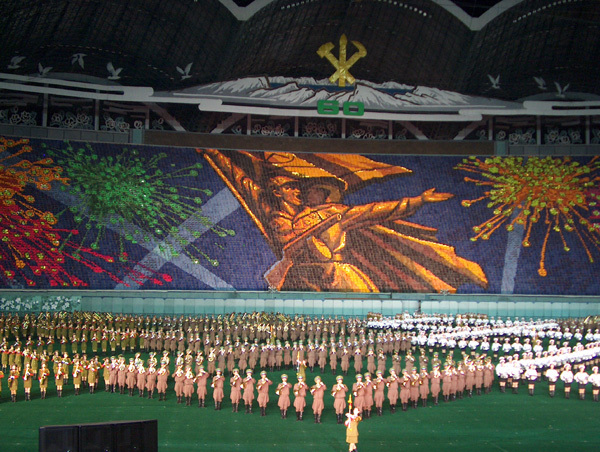 History: Since 1946, North Korea has regularly staged mass gymnastics games or performances that have grown ever grander and more lavish over the years. They are a the result of long hours and months of rigorous training by thousands of people.The Mass Games is a spectacle in which thousands of performers come together fluidly and flawlessly as one making this show unique in the World. The theme of the Mass Games was "Arirang" . 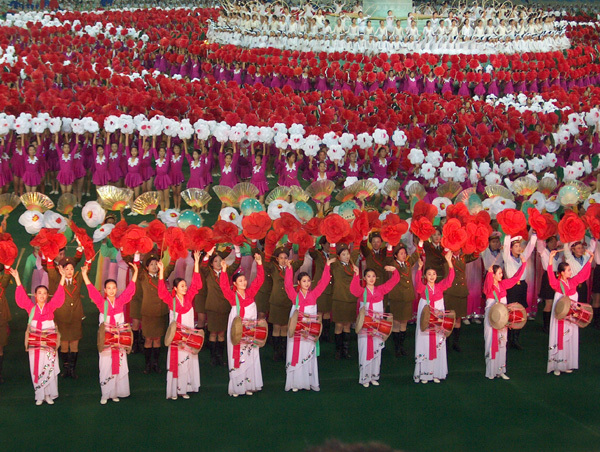 This incredible show of 100,000 performers retells the tale of North Korea's history.